Digital cameras excel in low light, especially DSLRs that enable you to increase your ISO to 400 and above without excessive compromise in image quality... or, at least, it's often worth the tradeoff to get the shot. So let's say that your f-4 zoom lens requires you to increase your ISO setting to 800 to get a reasonable handheld shot (let's say 1/30th or a second at f-4) in dim lighting. In that same lighting condition, your 50mm prime lens set to f-1.8 would allow you to shoot the same shot at ISO 200 (1/30th of a second at f-1.8) instead of ISO 800. By letting more light through to the image sensor (f-1.8 vrs f-4), you are able to lower the ISO setting using the same shutter speed. What are examples of these magical "prime" lenses. You can get a Nikon 50mm f-1.8 lens brand new for $105, and cheaper used. Same goes for Canon mount. A Canon 50mm f-1.8 lens can be had brand new for $80, and even less used. Now that I have your curiosity piqued, it's time to listen to today's audio show titled, "Low Light Photography." You can download the podcast here (34 minutes). Great podcast Derrick and very timely considering that most of us will be taking lots of photos in low light this holiday season. This may be my favorite so far. However, I was surprised that you didn't talk about image stabilization or vibration reduction lenses. What are your thoughts on this option or these lenses? Would you rather use a fast lense with a shallow depth of field over an IS or VR lens with a deeper depth of field? Yes, I think that's an entire subject to itself, which I do want to discuss in an upcoming show. But for now, here are my initial thoughts. I like image stabilizer lenses, or in the case of Minolta, cameras. Generally speaking, you get an extra two f-stops of camera shake prevention with them. I've been using the Canon IS 28-135mm lens for a long time. Wonderful glass! But at the telephoto end of the range I'm at f-5.6 for my maximum aperture. And in terms of depth of field and overall feel of the image, f-5.6 is much different than the f-1.8 on my Canon 85mm f-1.8 lens. So, to cut to the chase, I like both lenses. But I wouldn't consider image stabilizer zooms as a replacement for fast prime lenses. My bottom line advice is to spend the $100 (or less!) 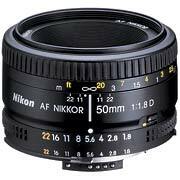 on a fast 50mm, then if you can afford it, try an image stabilizer zoom when the budget allows. One of the issues that I find with indoor low light photography is the mix of different light sources and associated light temperatures. Most cameras can't set a good AUTO white balance in these situations and the INCANDESCENT settings are often way off. You discussed this in your JPG vs RAW episode. What do you think of the idea of using an 80B filter on a fast lens with the white balance set to AUTO? The 80B should bump up the light temperature to the zone where AUTO works very well for most cameras. Would the filter take away too much light? Thanks for latest podcast...very good as usual. Low light photos have always puzzled me. The reference to primary lens really helped me understand the importance of lens speed. During your podcast you made a brief reference to the importance of good etiquette during photo sessions. I'm not sure what consituites good etiquette when photographing people and places. I little help would be useful. for just under $100. I slapped it on and took 4 test shots (3 of people). I'm very happy with the results. I shot in program mode using a digital rebel (orginal model), indoors with only window light at ISO 400. The camera choose an exposure of F 3.2 and a shutter speed of 1/125th (which I think suggests I can lower the ISO to 200). The shots looked great - not blury at all. Even viewing at 100% on a computer screen faces look soft and flattering but not blurry. I could see good detail in the subject's hair. Works great. Thanks the great advice. Derrick, I appreciate the way your podcast makes a difficult concept understandable. You asked listeners to comment on the Grab Shot feature of your Blog. I think it's a great way for those of us who are leisure time photographers to see how others view the world through their lenses. I appreciated the latest Grab Shot "Free Sand" - besides being a very clever shot, Brad gave some great tips on how he got it. Those details might be a good addition to Grab Shots.